I used to have a similar gadget in one of my previous homes and always lamented having left it at the door when I moved out. I was very happy when I found this one and I need to try it. I have a sliding glass door that I would like to have a little bit better security on. I live alone and it seemed like a practical safety alarm system idea for the price. My daughter has a daycare and her own child. I am buying these to protect her and her business. I wish to no when the dor is opened. 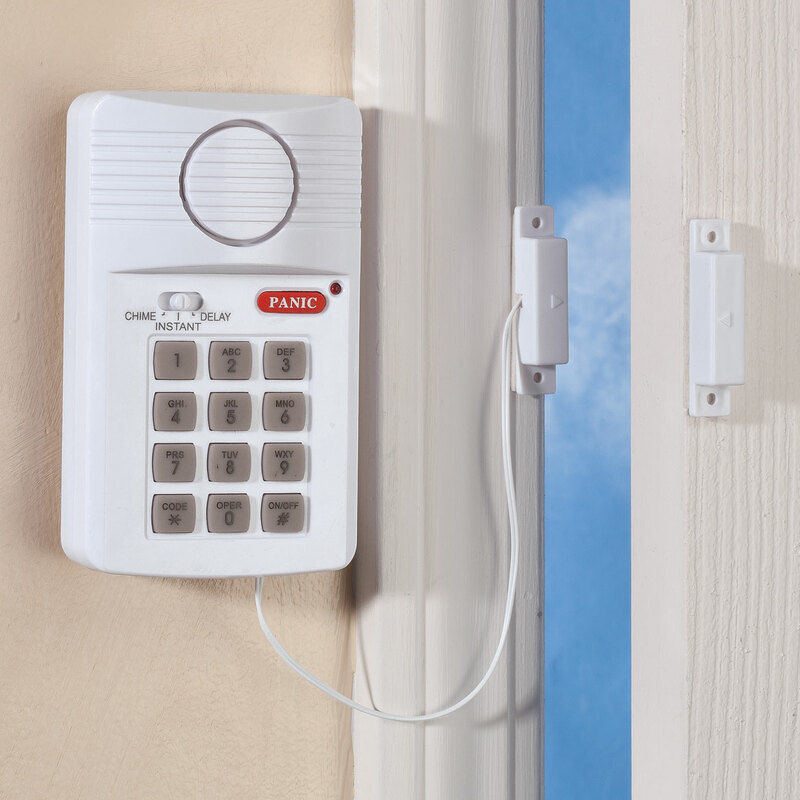 I search for front and back door alarms on the internet and I ran across this product to ensure safety of my home.Also I like to read other people reviews before I a purchase product. The Magnetic alarm door and programmable keypad is very affordable and seems like the perfect product to ensure safety for my family and I, can't wait to put it to use. To know when the door opens. My husband has dementia and I am hoping this will alert me when leaving the room. IT WILL PROVIDE SECURITY AT A LOWER PRICE. BEST ANSWER: Thank you for your question. Yes the door alarm needs to be directly across from the sensor to work properly. We hope this information will be of help to you. I want an alarm that might startle an intruder but I don't want a chime or doorbell sound when opening the door when the alarm is "off". Does this alarm have that option? 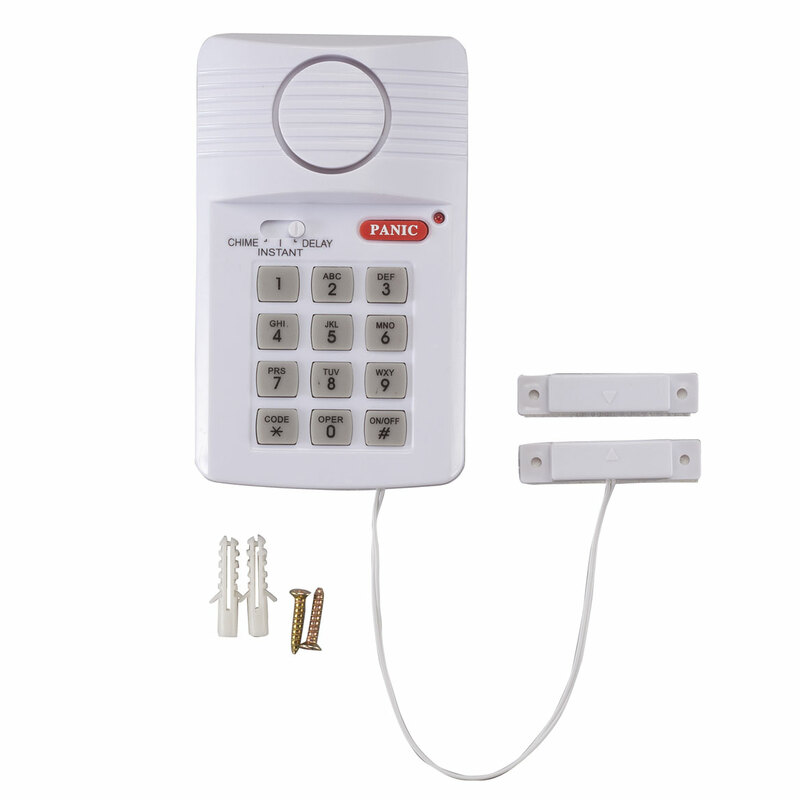 BEST ANSWER: Yes the alarm does have different settings it has chime instant and delay the instant is the one you probably want I use this for intruders n my father who has Alzheimer's if u want something that fair in cost this is great I recommend it. Hope this helps.